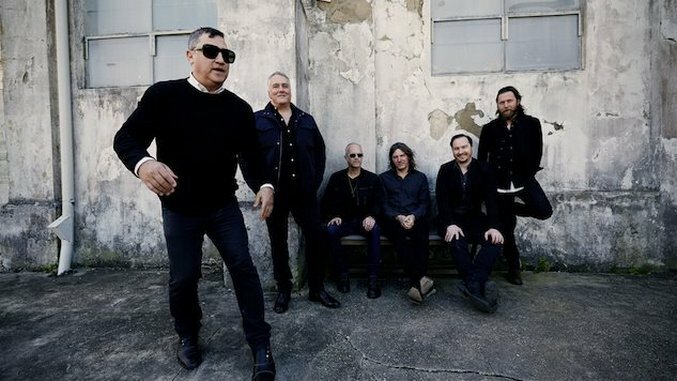 Alternative-rock band The Afghan Whigs released a new song, “You Want Love,” this morning—listen below. The single is a cover of the originally released song by short-lived gothic-rock band Pleasure Club and it features that band’s lead singer James Hall, as well. The song pays tribute to The Afghan Whigs’ late guitarist Dave Rosser, who passed away last month from cancer. In a press release, frontman Greg Dulli commented, “Pleasure Club was a legendary New Orleans band and Dave Rosser and I had spoken for years about performing this song, in light of his passing we decided to record it in his honor.” The song is available as a free download on the band’s website. Their latest record In Spades came out this past May, and features equally eclectic compositions and distinct vocals. The band is also currently on tour. Listen to “You Want Love” below, check out the band’s full tour dates further down and read our recent profile of The Afghan Whigs here.